How Solar Pool Heating Works | Solar Living, Inc. When the desired termperature set on the automatic control is reached, the water temperature sensor gives the shut-off signal. 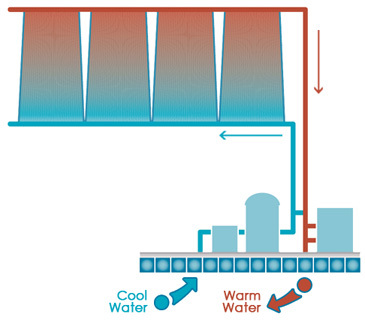 When the water cools below the desired temperature, the system turns back on automatically. In the evening, the solar sensor gives the shut-off signal. And in the morning, the system turns on again automatically.